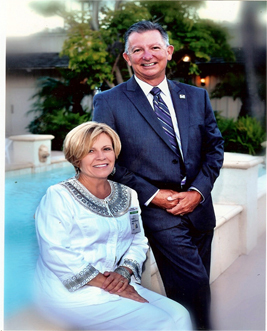 Gary and Melody Fee have spent the last 25 years as co-founders of the national travel trade association, OSSN. It was their great pleasure to build OSSN into an association that educated travel professionals, while also providing professional benefits and creating a VOICE for the Independent Travel Professional. During their tenure, it was always their greatest pleasure to work with an excellent group of Travel Industry Supplier partners to train agents by organizing EDUCATIONAL FAMILIARIZATIONS around the globe. This passion for discovering the world and helping agents to be more effective “sellers of travel” has led them to continue their journey through the development of Travel Industry Educational Services LLC (TIES) and its DBA, FamTrips.travel.